In this translation, I have tried to recreate the rhyme and rhythm of the original. Consequently, the translation reads best when recited out loud. 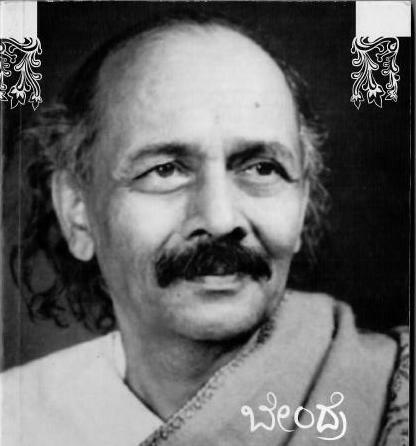 As usual, here is a recording of my reciting (singing) the original Kannada poem. The rhythm is taken from the recording by B.R Chaya for the album Mayakinnari. A stricken pair of owls appear, hootíng through the mid-morning. The moss removed black waters cáll into the dark beyond. We see ten bushes in a clump upon a little height. The aala drips its drops of milk and the peepul shakes its stem. Beneath the tree’s a den of snakes — a seven-hooded serpent’s in. One note it calls without a break — without tíring at all. Kuhoo it says kuhoo it says kuhookuhoo it hums. Shall I go and look and see its eyes and colour and all? And then they all begin to fruit in tune with what it says. Shall I plùnge into some other work or sée what’s going on? And as I heard it grew and spread and filled my whole body. How spellbound I’ve become, jogi, that you are coming to me! What is this call, what is this koel, what is this mango-tree? What is it that bothers it, that makes it cáll unceasingly? The sunshine’s danced and come to sweat — nów the rain must fall. Note: It would be remiss if I did not mention Sunaath Kaka‘s help with this translation. In particular, the “rogue cattle” of the first stanza are entirely his – replacing the more tame, less eerie “stray cows” I had originally. In addition, the word “stricken” of the first stanza was a result of his hint that “confused” (the word I’d used first) did not quite capture the essence of “ಕಕ್ಕಾವಿಕ್ಕಿ”. Given how wonderfully felicitous “stricken” now feels, I can only thank Kaka for his deep and appreciative reading of my translation. As usual, here is a recording of my reciting the original Kannada poem. And doing so together do the work at hand. And together and together reach for the holy peak.